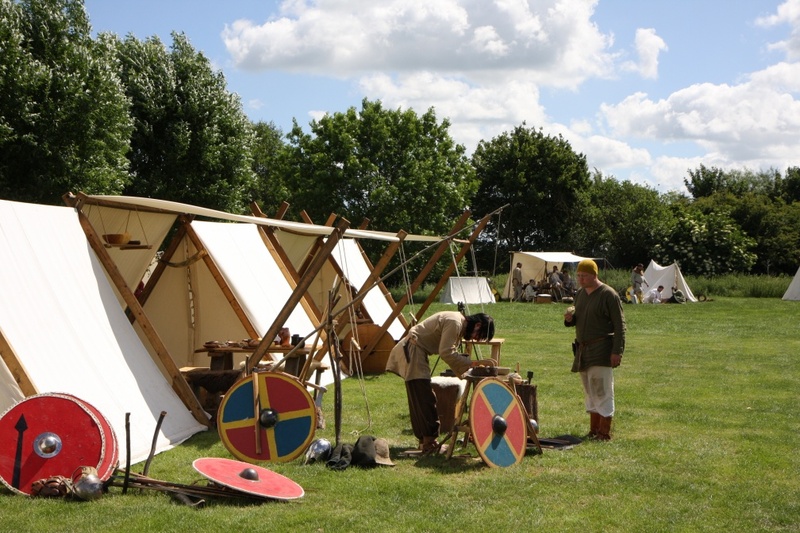 As a large nationwide Society, The Vikings appear at events throughout the UK. We are also willing to travel overseas. Our European, Canadian and US groups are also available to appear at shows. Our appearance at an event ranges from arena slots in a mixed program (we are quite used to appearing between the majorettes and a martial arts display) to building the entire event around a piece of local history and supplying an entire weekend of arena events and activities. Our living history encampments can range from a background five or six structures to well over 100, manned with activities such as herbalists, period cookery, textile production, blacksmiths, woodworkers, netmakers, and leatherworkers. On request, we can arrange specific talks and demonstrations at set times throughout the day. Please contact us to discuss your requirements. We have an experienced event management team who will help you put your event together.